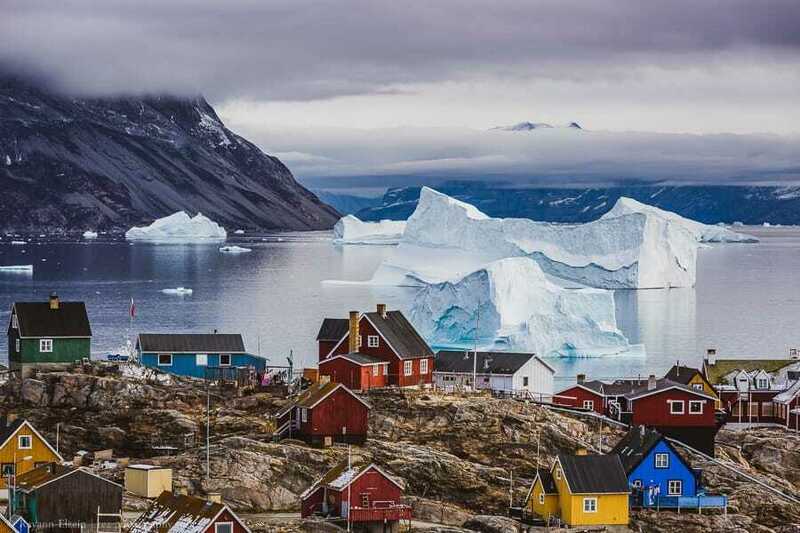 When you think about photos of Greenland, the first images that come to your mind are probably the immense icecap that covers about 80% of the country or the huge icebergs floating in the ocean. 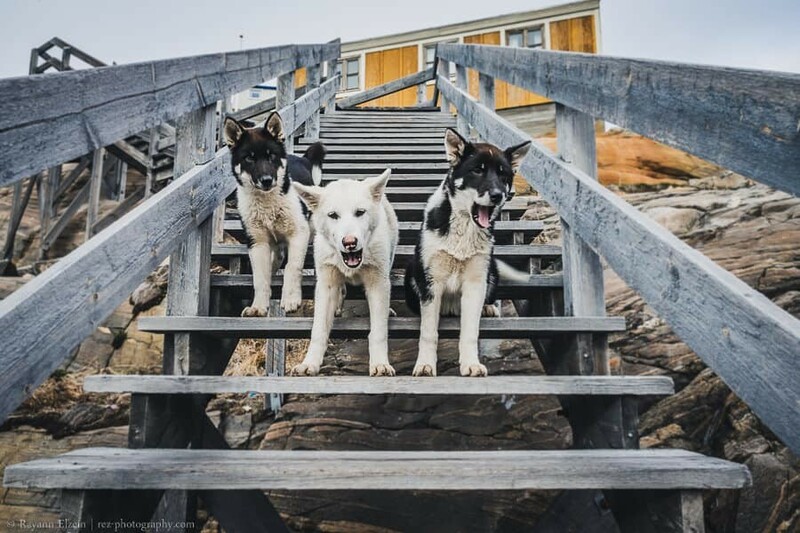 Add to this countless sled dogs, high snow-capped mountains, brightly coloured houses, beautiful northern lights (aka aurora borealis), and a rich Inuit culture. It’s truly one of the most extraordinary places on earth. 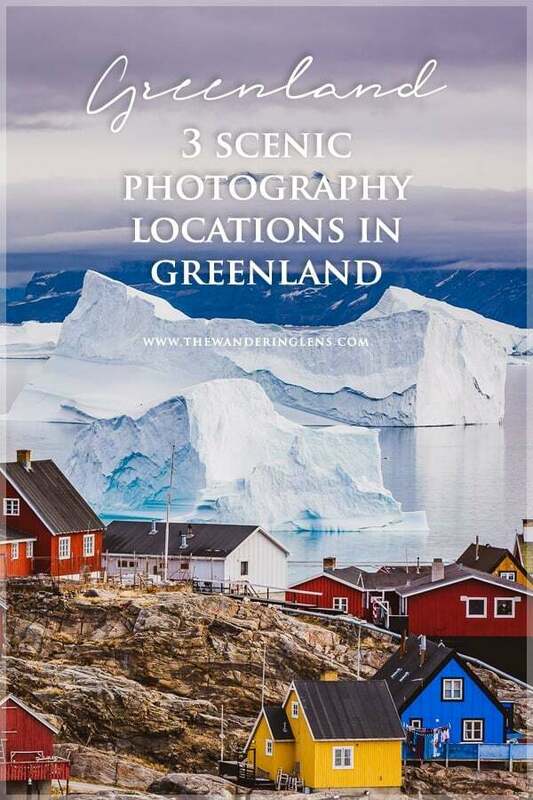 When planning a trip to Greenland, I decided to stay three entire weeks which gave me plenty of time to experience and photograph all the beauty of 3 Greenland photography locations, all of which were located in West Greenland: Ilulissat, Disko Island and Uummannaq. Having a lot of time in each location allowed me to really immerse myself in the landscapes and features that each place has to offer. 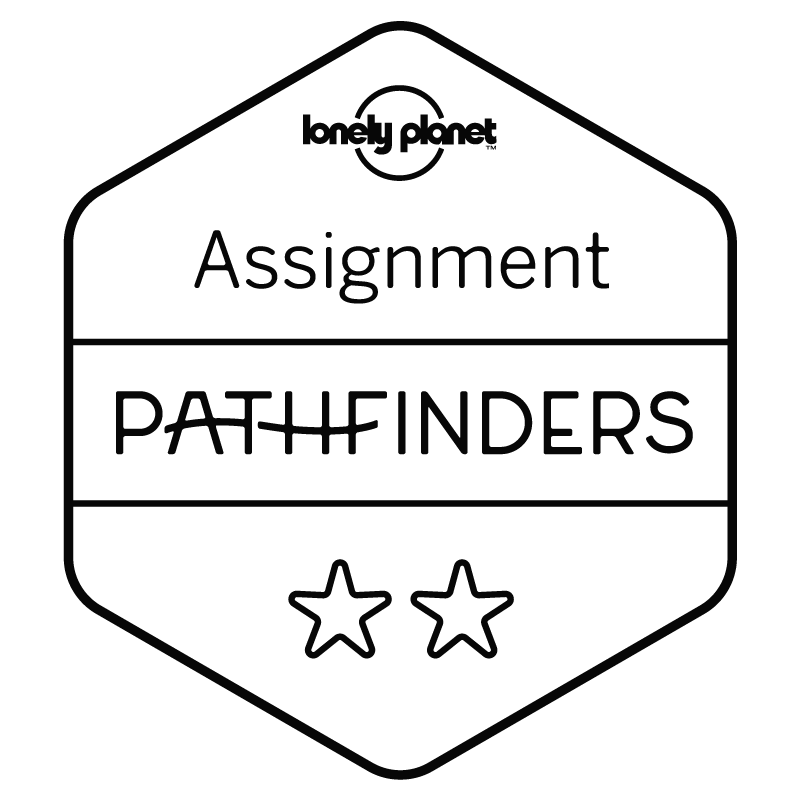 With this guide on The Wandering Lens I want to share my tips on the best Greenland photography locations, the best places to see the northern lights, and the best hiking trails to follow. The entrance point to West Greenland is without a doubt Ilulissat. 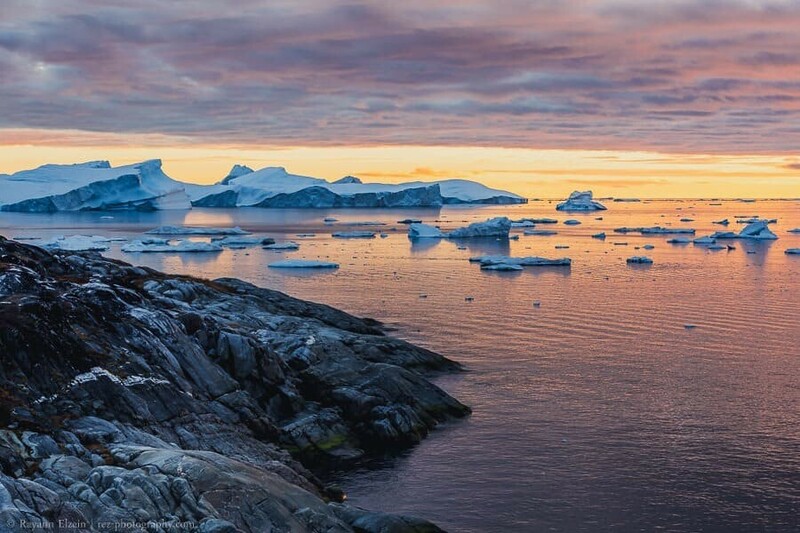 You have two options to reach Ilulissat. If you are travelling with Air Greenland from Copenhagen, you first land in Kangerlussuaq, where you then board a propeller plane further north to Ilulissat. 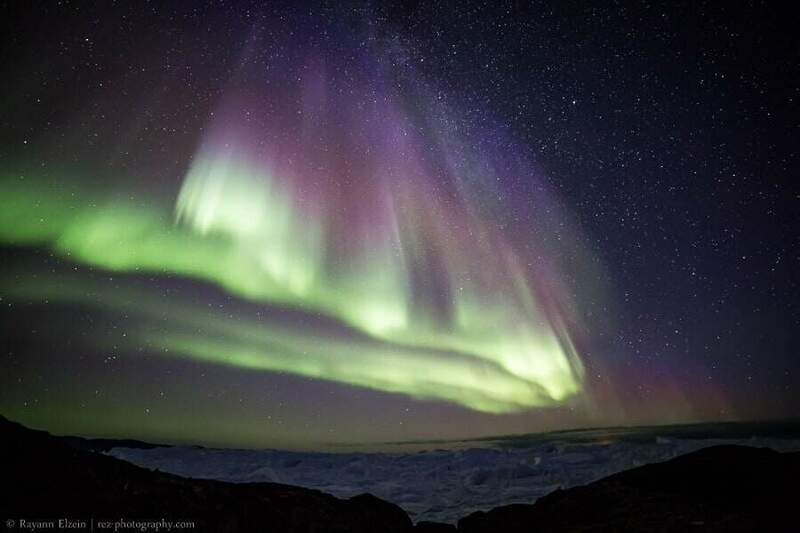 Another option is to first fly to Iceland, and from there, take a direct flight to Ilulissat. Whichever option you choose, try to sit on the right side of the plane on your way to Ilulissat, because that’s where the best views are! 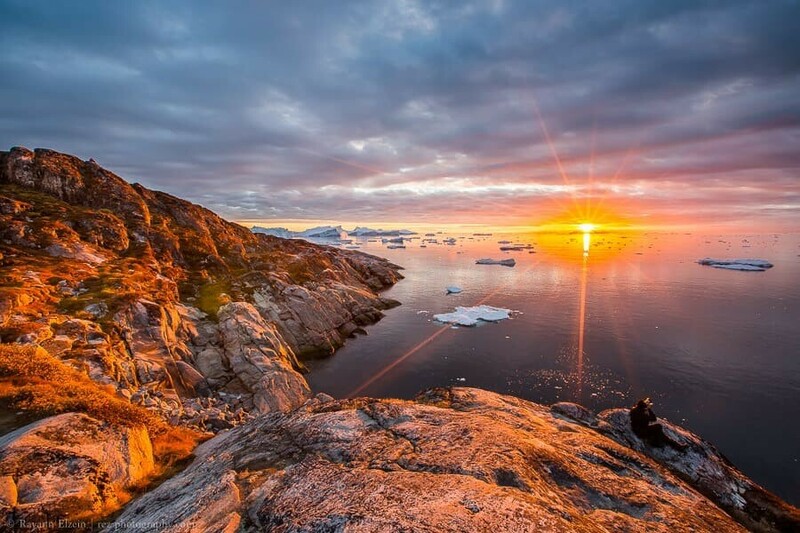 Ilulissat is the third largest town in Greenland, with about 4,500 inhabitants. 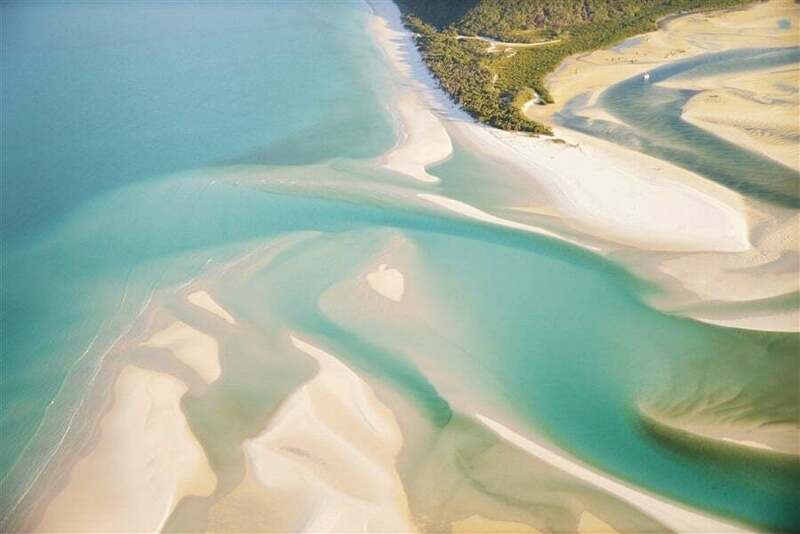 It is located some 300 kilometres north of the Arctic Circle. It is also the main tourist destination, thanks to its proximity with the Ilulissat Icefjord, a UNESCO World Heritage site since 2004. The Icefjord is the main attraction in Ilulissat. It is a 50 kilometres long fjord between the front of the Sermeq Kujalleq glacier and the sea. The Sermeq Kujalleq glacier is one of the most active glaciers in the world (after Antarctica), and moves at the average speed of 20-30 meters per day. 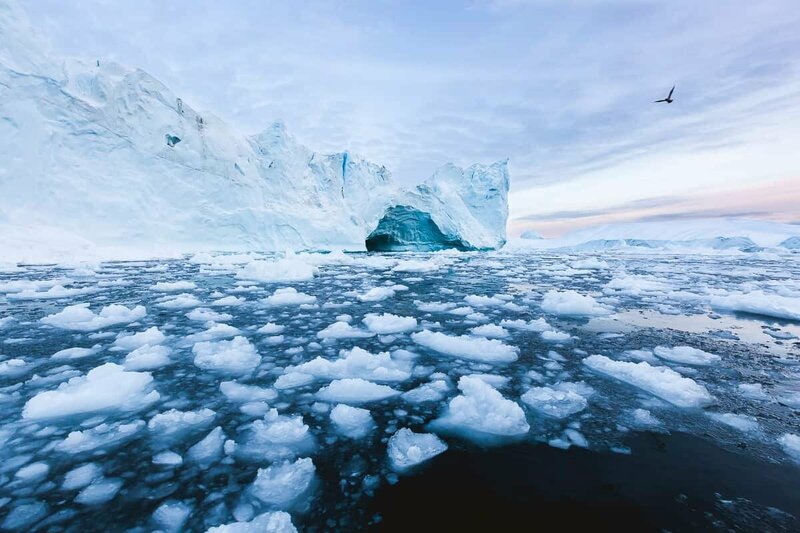 When it calves, the icebergs that are formed are so big (sometimes up to 1 kilometre) that they get stuck in the shallow parts of the fjord, sometimes for years. 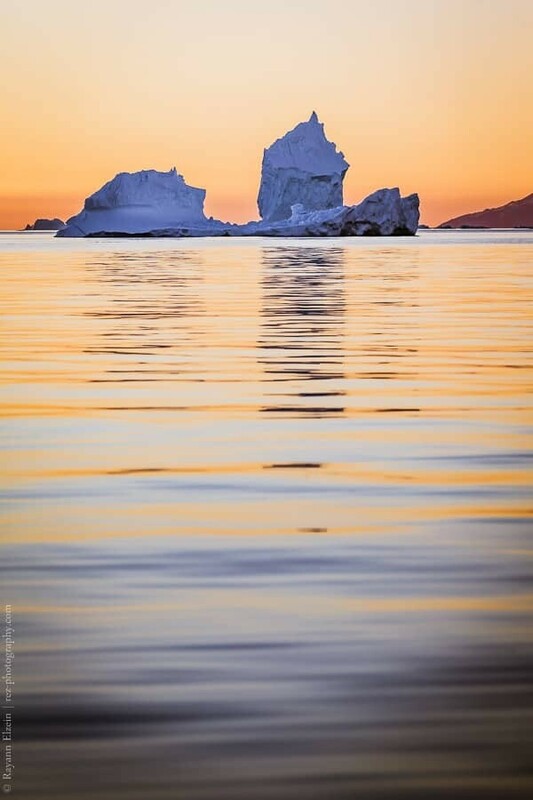 Only with the huge pressure of the icebergs behind them do they eventually reach the Disko Bay, where they start their long journey following the ocean currents, first to the north, before taking a turn south towards the Atlantic Ocean. The largest of them will reach the same latitude as New York. There is a strong probability that the iceberg that sank the Titanic originated from Ilulissat. 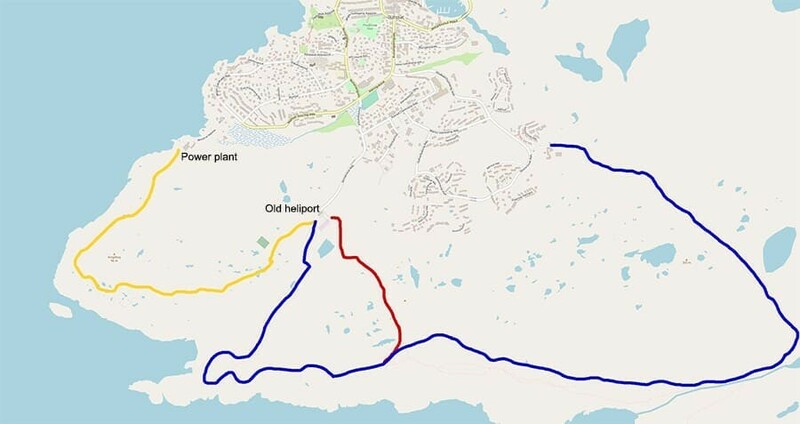 The image below shows all the three hiking trails that are well marked in the Ilulissat Icefjord. The start of each trail is easily accessible from any hotel or accommodation in town. 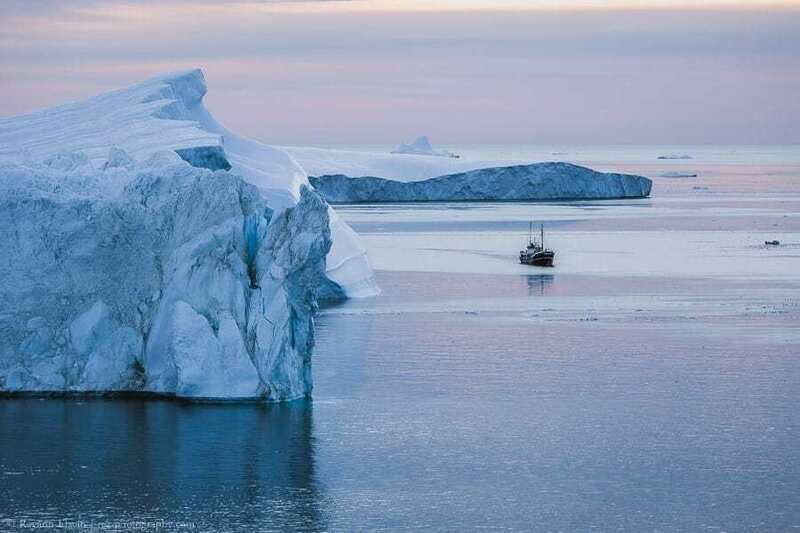 Another way to enjoy the icebergs is a boat trip. If you travel all the way to Ilulissat, you have to see the icebergs up close on the sea. There are so many more icebergs of all shapes and sizes that you cannot see from land, and a boat trip is the only way to approach them (always from a safe distance). I highly recommend Ilulissat Water Taxi for such an excursion: with a small ice-resistant boat, and a captain that knows exactly what photographers want, you are able to concentrate on your photography. But don’t forget to also take it all in! They are usually also flexible on the time of the excursion, so try to book your trip around sunrise or sunset. Bring an (ultra) wide angle lens, and don’t hesitate to shoot over the side of the boat, as close as possible to the water. 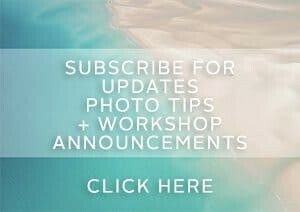 Use a strap so that your camera does not end up at the bottom of the fjord! I have been chasing Aurora in Inari, Finnish Lapland for years and Ilulissat is located at approximately at the same latitude. Instead of looking north like in Europe however, you have to look south when viewing them in Ilulissat. This is due to the fact that the geomagnetic north pole of the Earth is shifted towards Canada, and does not coincide with the geographic north pole. 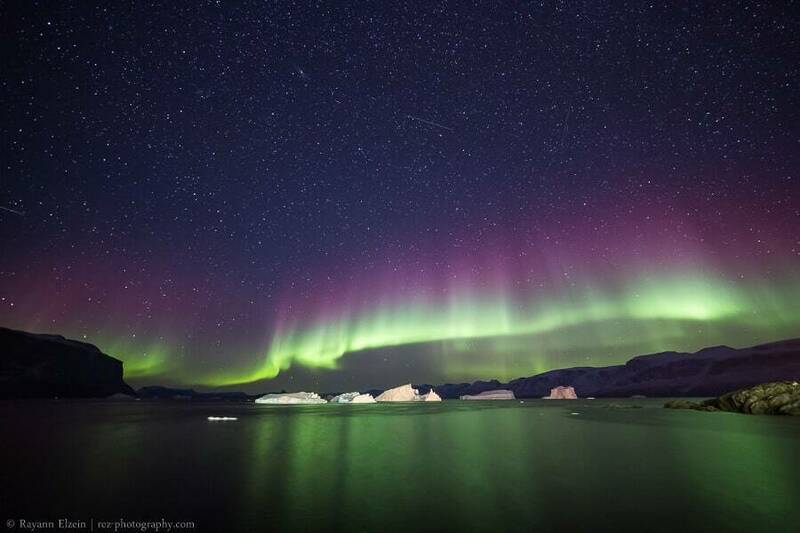 Ilulissat is slightly less ideally located than Iceland or Lapland in Europe, and as a result, the probability to see the aurora is smaller (but still quite good!). If the aurora starts while you are still at your hotel, the easiest way to take photos away from the street lamps that would ruin any photo, is to run towards the power plant (see the map). Climb up the stairs, and from there you have a decent view to the south, with no light pollution. This is the shortest way from most accommodations. If you are like me and would go and wait for the aurora no matter what, even in the case of very low forecast, then I recommend to take the blue trail at the old heliport and follow the boardwalk. On the boardwalk itself, you can get some nice views of the Icefjord with the Aurora. The best views are after the stairs at the end of the boardwalk, where you can climb on the surrounding rocks, and get open views to the south with all the icebergs in the foreground. Don’t forget that auroras will only be visible between September and late March, when the nights are long and dark enough. For a detailed tutorial, you can find here all my best camera settings to photograph the northern lights. I share there all my secrets so that you have all the knowledge that you need to get the highest chances of success! Disko Island is a very large island off the west coast of Greenland, and the largest island of Greenland after the main island itself, with a length of approximately 160 kilometres. The Greenlandic name of the island, as well as of the main town is Qeqertarsuaq. Disko Island is somewhere that requires an extra effort to reach and is a little more rustic; think a long boat trip in sometimes choppy seas, a basic hotel or hostel and very little facilities. The reward however is huge: amazing hikes, rivers, countless waterfalls and impressive (basaltic) rock formations. And if you go in the fall period in September, on top of everything I just mentioned, the ground vegetation turns to all hues of yellows, oranges and reds. From town, there are two hikes that you can take. Once you exit town towards the east, the first part of the trail is about 1.3 kilometre long. You pass the football field and follow the trail until you reach a small bridge over the river. Some 50 meters after the bridge, there is a fork: left along the river, right towards the coast. That’s approximately where I stopped on this trail, but I suppose it is possible to walk further. The terrain there is quite easy, and I am writing this as someone who was a very inexperienced hiker at the time of this trip. The second trail is a little longer and can be more demanding, although again, as a very inexperienced hiker, I made it without trouble. A part of the group I was travelling with ventured further east along the coast where they found even crazier basalt rock formations. However, it started getting a little bit tricky and slippery as it was raining, with the trail going really close along the edge of the cliffs, so I decided to not go any further. Keep in mind that these areas are completely off the grid. Do not go there if you are not prepared for all weather conditions and potential issues. Several of us in the group had satellite phones to call for help (luckily we did not need it). 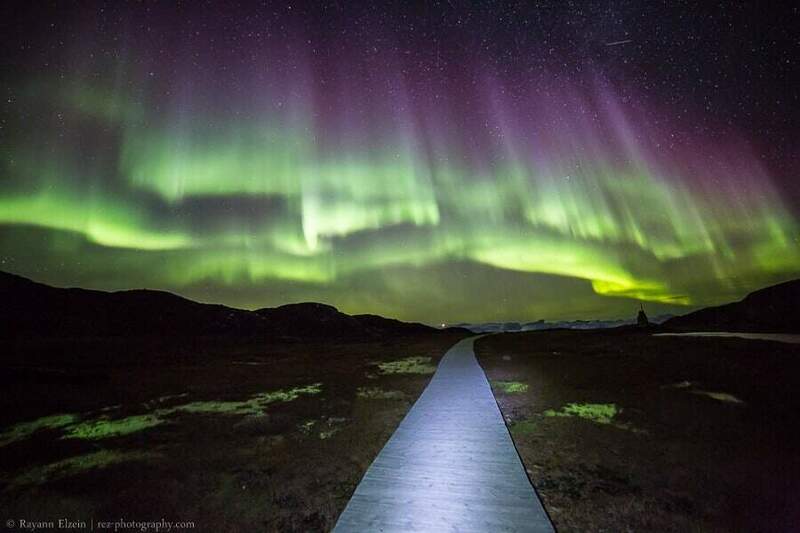 If you feel brave, you can stay at either of the locations above to photograph the northern lights. When I was there, the weather was very clouded, so I just stayed in town. The black sand beach in front of the hostel is OK to photograph the aurora, although you would be shooting mostly in the direction of town, and the light pollution is unavoidable there. Uummannaq is a small island located some 170 kilometres north of Ilulissat. 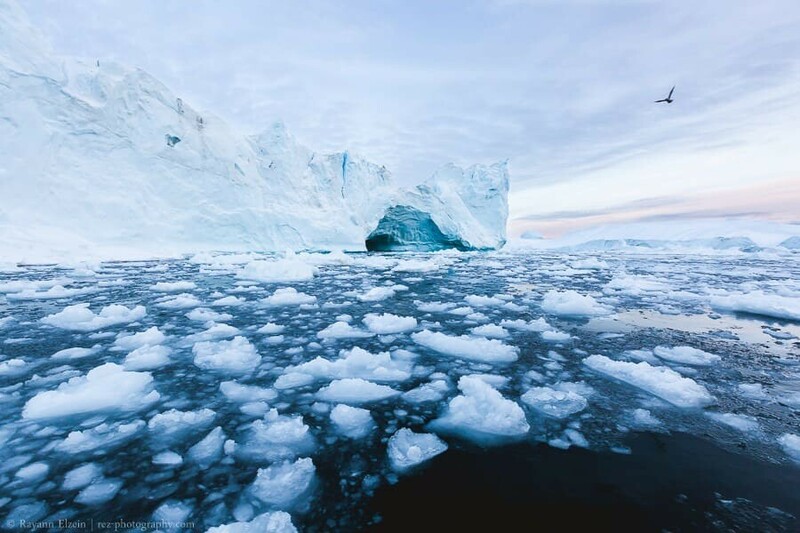 The easiest way to get there is to jump on a plane from Ilulissat to Qaarsut, where you will then embark on a helicopter for a short 10 minutes crossing to Uummannaq. I sat on the left side of the helicopter to get this shot below. During my entire stay there, every single time I saw the helicopter, it was approaching from that same side, but I heard from locals that it’s not always the case. Your best bet is to simply ask the pilot which side will be best for photos when he’s loading your bag. Just be first in the line! * Please note that you are not allowed to take any bags in the cabin, so before leaving, make sure you are holding the camera and lens that you are planning to use. The rest will be stowed in the tail of the helicopter. 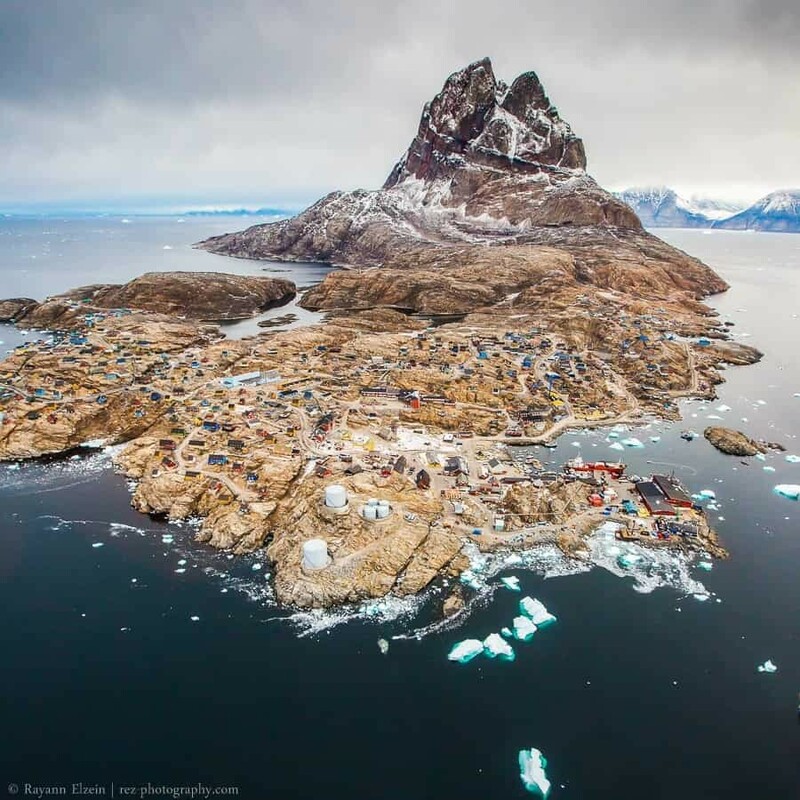 There are only about 1200 people living in Uummannaq. 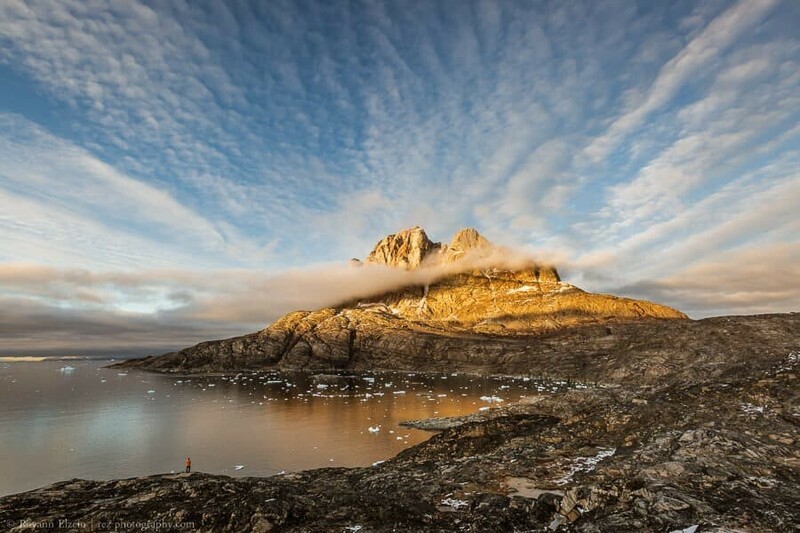 The name Uummannaq originates from the double peak mountain that dominates the landscape. Uummannaq means heart-shaped in Greenlandic. I highly recommend exploring the island by foot with all its cute and colourful houses. You might even get lucky with massive icebergs floating by, giving a real sense of scale if framed together with the houses. Almost nothing is flat in Uummannaq, so be prepared to climb up and down almost on every street. There are a lot of stairs too, and if I remember well, more than 100 steps up to our guest house. Sometimes, there was a very cute welcoming committee! … believe it or not, this yellow desert is also Greenland! And as always, try to be out on the water around sunset. 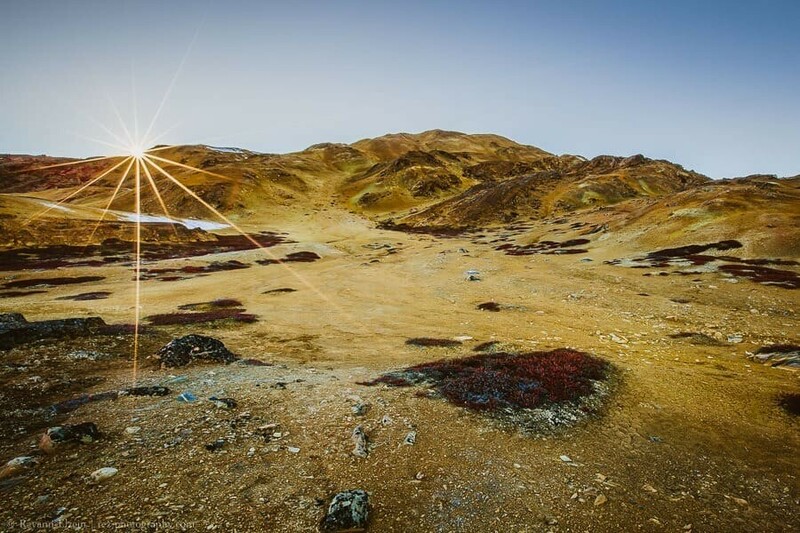 The beauty of Greenland is then revealed with the most extraordinary colours. 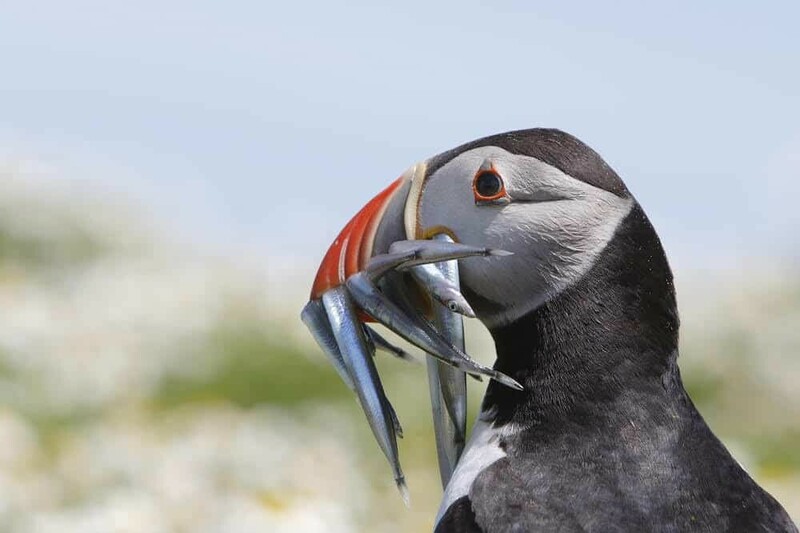 You can find it by walking northward on the east coast of the island, after the harbour and on the way to the heliport. It is at some kind of shipyard where small boats are taken out of the water, providing shelter from the light of the harbour. The icebergs were conveniently lit by the harbour though, and I took there one of my favourite northern lights pictures since I have been chasing them. All the imagery in this article was captured within the last three weeks of September, while exploring the west coast of Greenland. 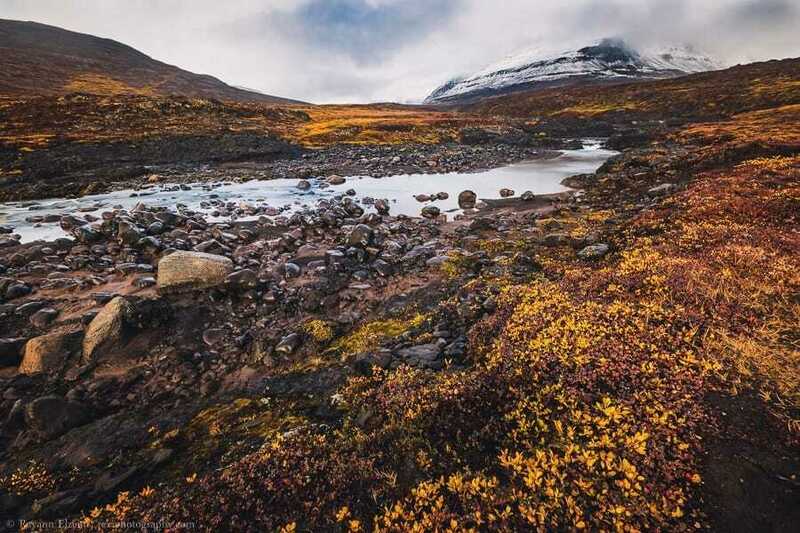 As with other Arctic countries, I’ve found September to be an ideal time of the year to explore with autumn also being less crowded and cheaper. The nights are long and dark enough to witness the northern lights, the temperatures are not that cold yet, and the landscapes looked extra special with all the autumn colours. Depending on what you’re hoping to photograph, plan your trip around the seasonal weather conditions. The summer months of July and August bring about the magic of the midnight sun so if you’re looking for 24/7 sunlight, this is the time to visit. Winter months can be very harsh however it’s a great time to photograph the northern lights, go dog sledding and photograph arctic landscapes in their most frozen form. Be prepared for below freezing conditions though and be sure to pack good quality winter gear to ensure you can spend time outdoors photographing the scenery. Spring is similar to autumn in terms of being on the cusp of the more dramatic seasons. Vegetation is starting to resurface, snow is melting and while your chances of seeing aurora will be less than in autumn due to nights getting shorter rather than longer, there’s still a good chance! During my time in Greenland I took part in a photography workshop with renown Canadian photographers Dave Brosha and Paul Zizka, before continuing on to travel with a friend. 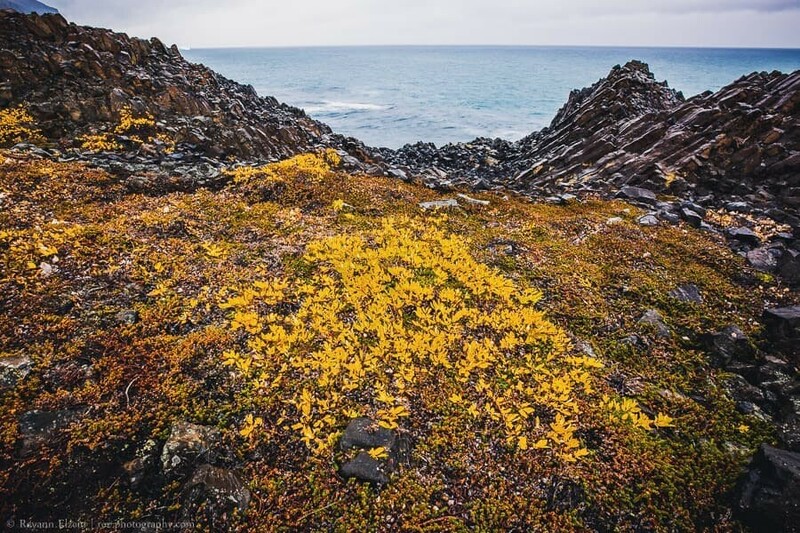 Nature in the high Arctic is extremely fragile. The ground is frozen and covered with snow most of the year and as a result, vegetation has a very slow growth rate. 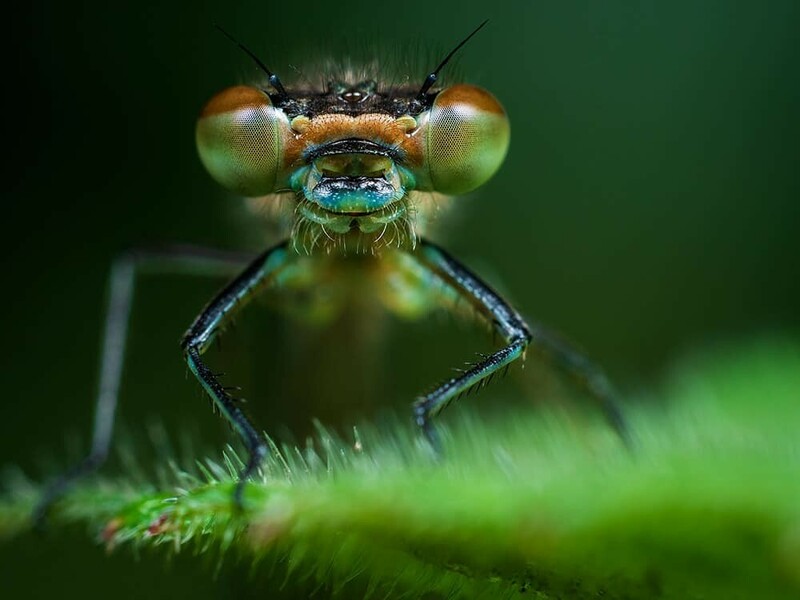 Stepping on vegetation can destroy years of nature’s efforts. Try to avoid walking outside of the trails whenever possible. Also, be careful where you set your tripod: a small rock is always better than a shrub! Image Gallery – For more photographs from this trip, please visit my Greenland images gallery here. 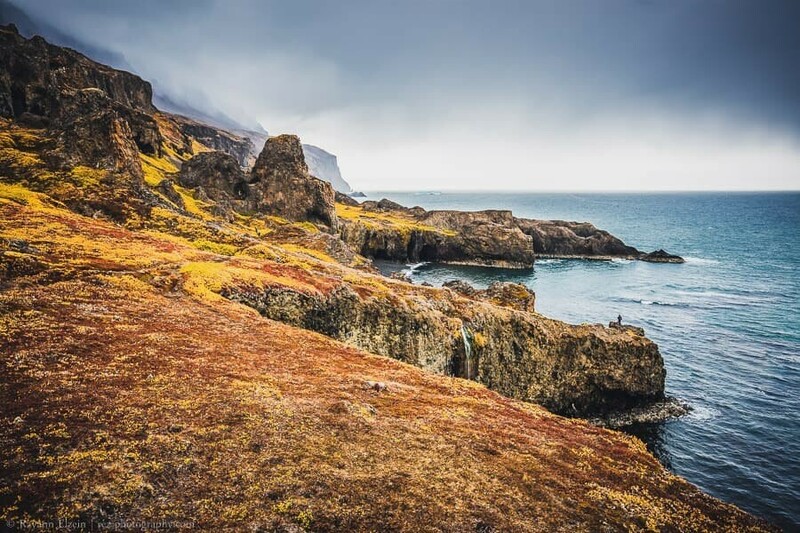 [hygge_icon icon=”map”] For more information about Greenland the Visit Greenland website is a great source of information for planning your trip and finding accommodation, transport, activities and excursions which are all detailed on the website. 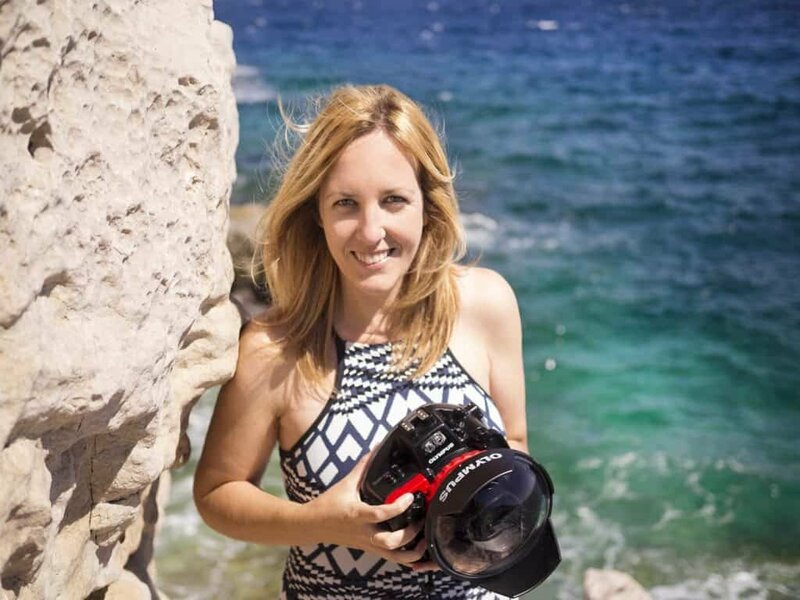 Rayann is a French nature photographer, passionate about the northern lights and travelling to Finnish Lapland as often as possible to enjoy the greatest light show on earth. When he’s not in Lapland, most of his travels bring him to other Arctic destinations, like Greenland or Svalbard. He also leads northern lights chasing tours in Lapland, writes freelance for magazines, and organises his own photography workshops. 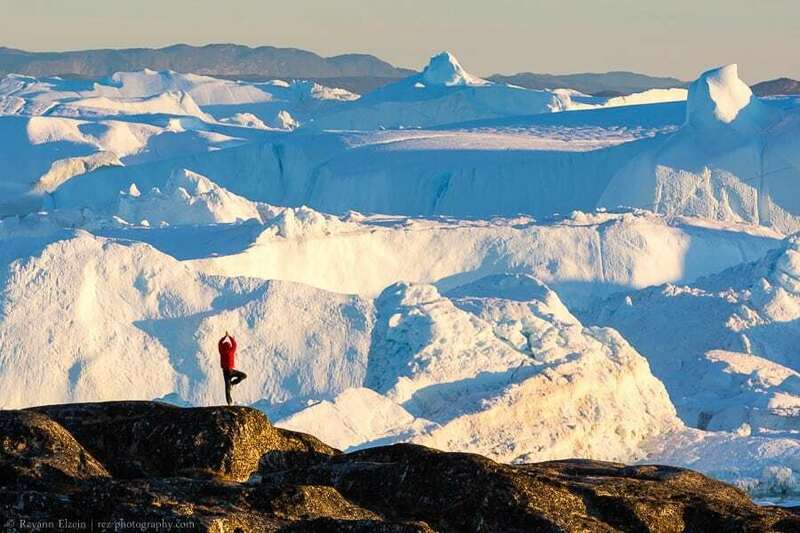 This is awesome, I’m so keen to visit Greenland. Most organized photo tours run in summer right? Hi Daniel, I am so glad that you like this guide! Greenland is really awesome indeed. As far as I know, most of the organized tours run in summer, but there are also a few opportunities in winter (March would be the best month) or September. I know that Paul Zizka is leading a tour there again in September 2019 for example.